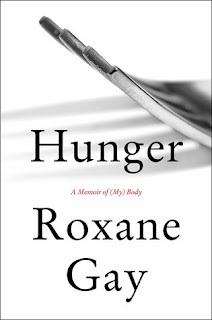 As a child Roxane Gay endured a horrific sexual assault that she did not know how to deal with. Afterward, she began to overeat, trying to hide herself. She writes candidly about what it's like to live in her body, one that is much larger than is acceptable in our society, and the numerous indignities that she suffers every day because of it. Although it's a memoir, much of it consists of vignettes on various topics, such as how inhospitable certain seating is for her, what it's like for her to go to the gym or to the doctor, and her thoughts about weight-loss shows like The Biggest Loser. This book is intensely personal. She admits things that must be very difficult to admit, and though it's incredibly reassuring to hear as a fellow human, I can't help but wonder what it costs a person to write a book like this. She is really laying bare everything about herself and that has to affect her relationships and her interactions with people (including friends and family) who have read it. Although it's more personal than her other books, her trademark wit is still apparent. In a chapter about Oprah Winfrey and her weight loss, she mentions a commercial in which Oprah says, "Inside every overweight woman is a woman she knows she can be." We've all heard that idea, of course, that there's a skinny woman inside, just waiting to get out. Gay's thought every time she sees the commercial is, "I ate that thin woman and she was delicious but unsatisfying." I also found it rather charming that she refers to her romantic partner as her "person." I'll admit I was a little disappointed at the lack of a narrative thread through much of the book; I think I was expecting more of a traditional memoir than a collection of thematic essays, but she gives us a great deal to think about. It's not as though I was unaware of how our society looks upon people who are overweight or some of the specific problems (like airline seating), but there was so much I hadn't thought of. It's like this with any marginalized population, of course. Those of us who aren't part of that population can only understand a fraction of what they experience. Although many people have written about their weight and body image, I don't think I've read anything this detailed or personal or honest. Gay came across as resigned to many unhappy aspects of her life, which left me feeling rather downhearted. She's appreciative of the many good things about her life, and rather likes herself though she feels like she's not supposed to. It's definitely a book that is more thought-provoking than enjoyable so I can't enthusiastically say how much I liked it. So much of it was unpleasant to hear and think about. But it's good, there's no doubt about that. She's incredibly talented and brilliant and it's always worth listening to what she has to say. 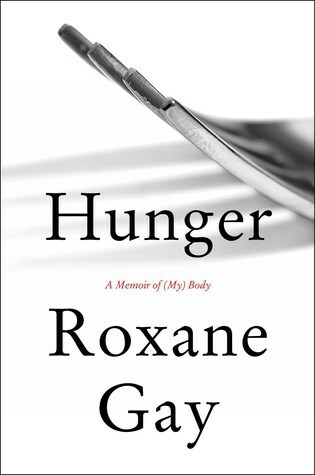 Hunger is a must-read for anyone who's a fan of her work.